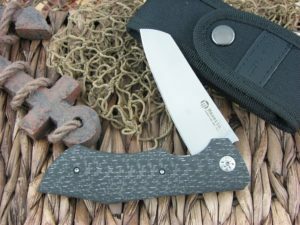 New in 2016 is the Maserin Cutlery AM-2, being tauted as an EDC (every day carry) high tech knife. 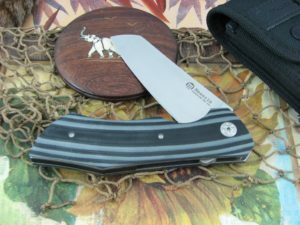 The Maserin AM-2 is a very smooth operator as even Mike can flip it (and he is no flipper). 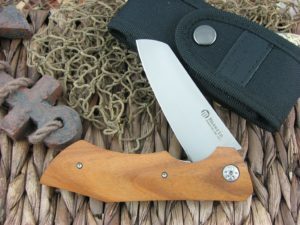 The blade is a bit unorthodox, but very functional and sleek. 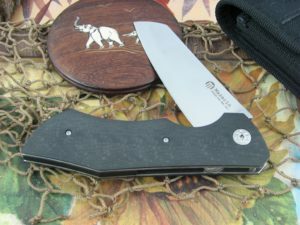 The AM-2 is a great size and shape general carry knife.